Johnstone publishes role-playing games and books. We’re the Vancouver chapter of the Original Red Box, inspired by their old skool gaming love. We used to run the Black Peaks campaign, Planet Algol games, and other strange settings using Basic Edition Dungeons & Dragons, Labyrinth Lord, and other old-school games. More meat shields? Hells yeah! 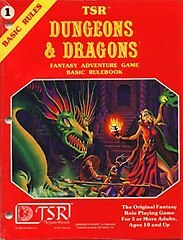 If you’re in Vancouver, check out the forums if you want to play old-school D&D, or Terminal City Story Games if you want to play Dungeon World or story games. If you like what you see, introduce yourself and ask to join a game, or show up to one that’s scheduled.